Well, so much for my dream of watching live Jurina win SSK this year. I guess if they hold the election again next year and she wins, its still a back to back right? Well i guess less stress for her and the other members. Chances of seeing her center an AKB single again seem really low now though. Maybe she'll get to center when she graduates (hopefully not in the near future though). Now this is a cooking show I could watch! She is on the cover of the new FLASH. 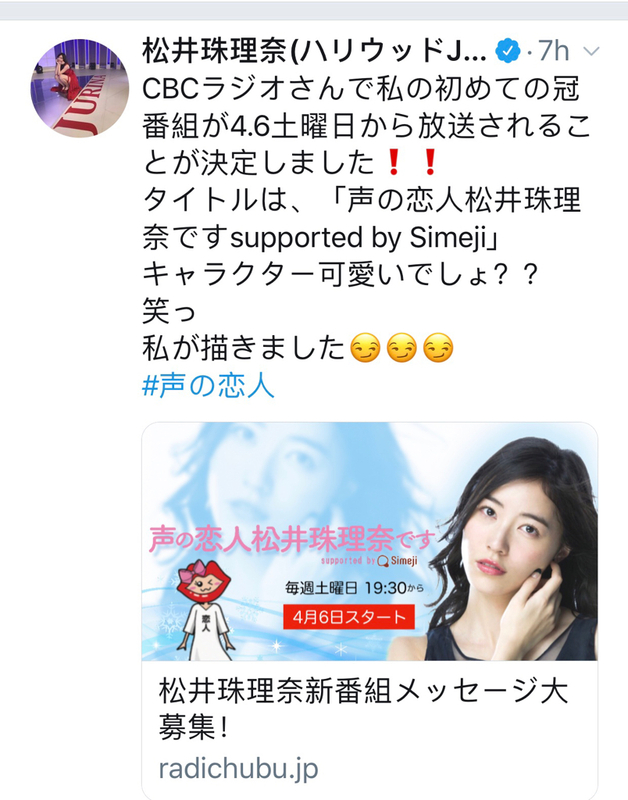 It is announced that SKE 48's Jurina Matsui will make a guest appearance in the second episode of the drama "Emergency Control Room" (TV Asahi / every Thursday at 21:00) broadcast on April 18. For Matsui who resumed his activity in September last year after having been rested due to poor physical condition, it is the drama that will be the first appearance after his return, and the first starring co-star with Yuki Amami.